Vintage Old Real Photo Photograph Photographic Post card, Africa, Southern Rhodesia. 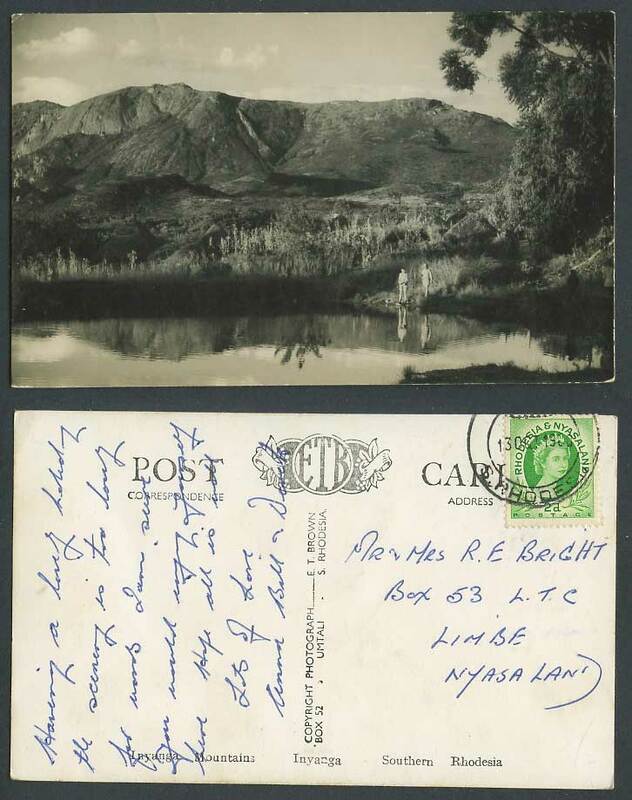 Zimbabwe, Inyanga Mountains, Inyanga. Mountain. Panorama. Angler Angling Fishing. Postally Used in 1960 with Southern Rhodesia & Nysaland Queen Elizabeth II 2d stamp, tied S. Rhodesia. Addressed to Limbe Nyasaland.